Bacon and Cheese? Priceless. These amazing bite-sized gems are fantastic hors d'oeuvres to pull out for guests or simply to keep on hand for a mid-day (or midnight!) snack. HWYD and Bacon Adoration founders, Stephen and Andrea Bourne, have created these easy, gourmet, pack-the-perfect-punch delicacies just for you. Read more for the recipe! After you cook, drain, and crush your bacon, stir in the chopped basil, chopped nuts, and pepper. Set aside in a small bowl. In a separate bowl, combine cheeses and Worcestershire sauce. 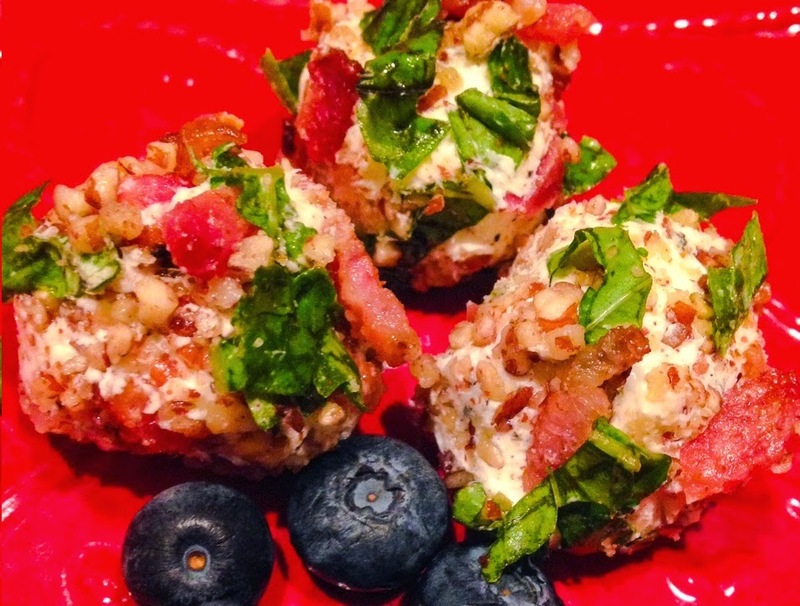 Roll into about 20 bite-size cheese balls and roll in the bacon mixture. Serve with a side of fresh fruit, like blueberries or strawberries. Or even with a dipping sauce like barbecue or apricot preserves! For breakfast or brunch, throw in a poached egg or two. Incredible!